Villa Flora – Essaouira short term rentals. 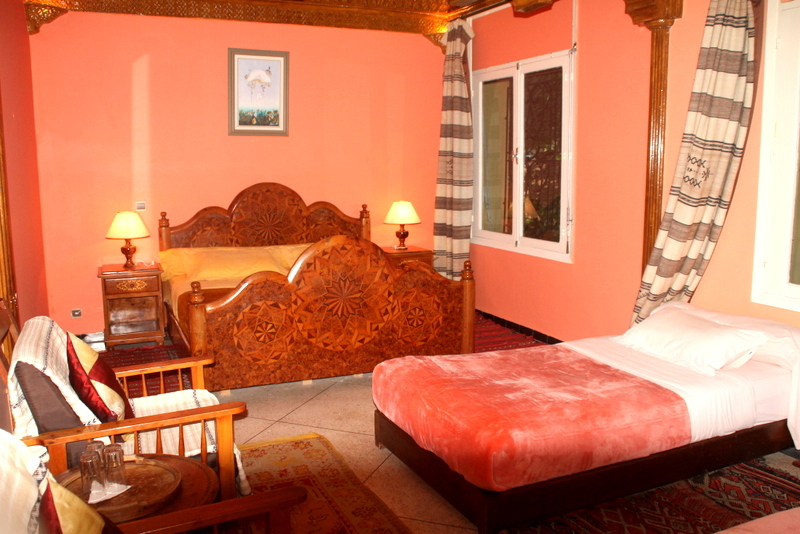 Sites > MOULAY-BOUZERKTOUN.INFO > Villa Flora – Essaouira short term rentals. Villa Flora is situated in a quiet Essaouira residential area, around 200 meters from the beach and Club Mistral where you can rent the windsurf, kitesurf and surf equipment. A traditional hotel with a typical Arabic style, it has a large nice terraces where breakfast is served surrounded by a beautiful garden, a nice place to relax and enjoy a Moroccan tea. The rooftop terrace is equipped with deckchairs and parasols and wonderful sea views. Villa Flora offers 9 spacious and equipped rooms decorated with a traditional arabic style. A large room with 1 double bed and 2 single beds rooms Ideal for families with children. Rent a Car in Essaouira with Moulay-Bouzerktoun.info and save money.